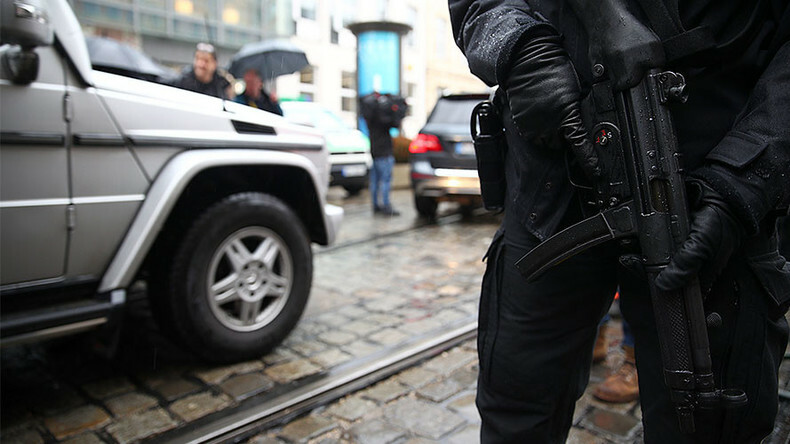 German police storm a refugee center in Hamburg after a knife-wielding man barricades himself in a room with a pregnant woman believed to be his partner. The man was injured before he was arrested. A refugee center in Hamburg was stormed by police on Tuesday after a man armed with a knife barricaded himself inside a room with a woman, believed to be his partner. The man was injured before being arrested, according to local reports. 2018-10-15 Mounir el-Motassadeq, sentenced to 15 years in prison as a member of the Hamburg cell of the September 11 attackers, was deported from Hamburg, Germany to Morocco. 2018-04-3 A double-decker sightseeing bus collides with a car in Hamburg, Germany, leaving eleven injured. 2017-09-3 The European X-ray free-electron laser is inaugurated in Hamburg, Germany. 2017-07-7 Leaders from the Group of Twenty come together at the G20 summit in Hamburg, Germany, including United States President Donald Trump who is set to meet with President of Russia Vladimir Putin. 2015-02-15 Voters in the German city state of Hamburg go to the polls with the governing Social Democratic Party of Germany led by Olaf Scholz retaining power.